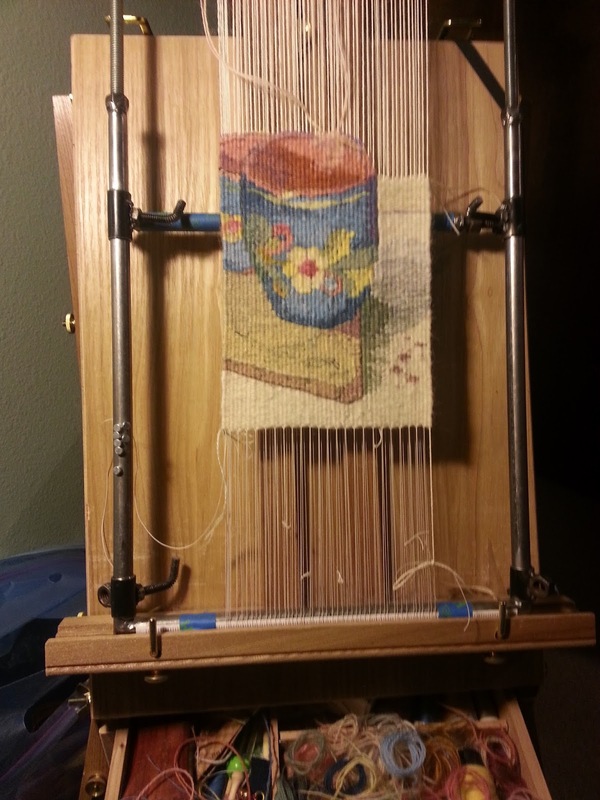 An artistic challenge, to weave a 6"(w) x 33"(h) tapestry by the first of February. The cartoon for this tapestry, a thank you card for one of my daughter's, I had sketched, at a friend's house. Yesterday, the American Tapestry Alliance Facebook page, for the day, featured my "Schweitzer, Christmas Sunrise" 16"(h) x 45.5"(w) tapestry. Little surprises and little bits of art daily make January days rewarding! ...and I might have let it go in the estate sale..., I'm not really sure. 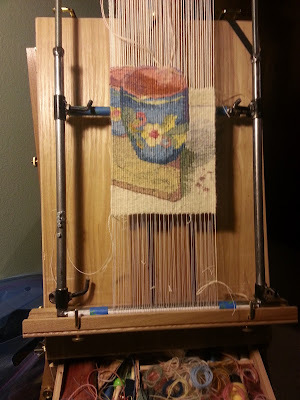 Congrats on having your tapestry featured on the American Tapestry Alliance Facebook page! Looking good Patti. I admire your goal setting and your work! Congrats on the ATA fb page! Cindy, if I recall correctly, you are one fine goal setter yourself! I loved your pear study, set up and actual works with the different backgrounds etc..... You you you!!!! Bobi, I can always come up with a loom if you are interested. But watch out tapestry is addictive! Art is addictive!